This product has met all of the stringent quality and safety standards set by the NASC. The NASC (National Animal Supplement Council) is a non-profit self regulatory group that set specific guidelines to which manufactures must strictly adhere. This seal is meant to minimize risk by providing an easy way of communicating to consumers that a product and its manufacturer meet particular standards of quality, customer safety and service. 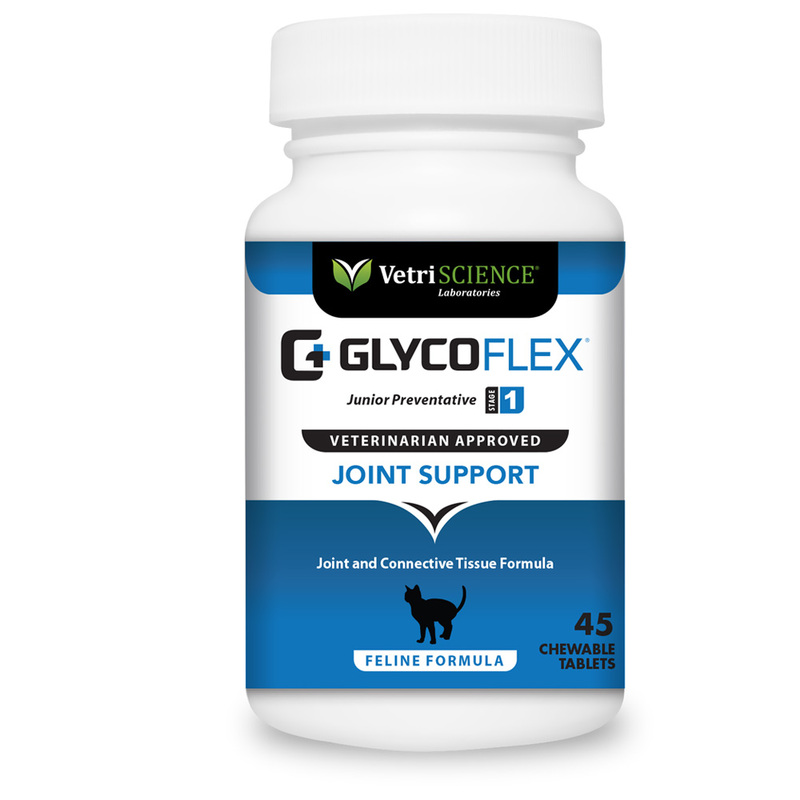 Glyco-Flex I for Cats is made from pure freeze-dried Perna canaliculus (New Zealand Green-Lipped Mussel). Perna contains all major classes of glycosaminoglycans (GAGs) including Chondroitin -4- and -6- Sulfates. GAGs are referred to as the "glue of life" and make up the core of all connective tissue. 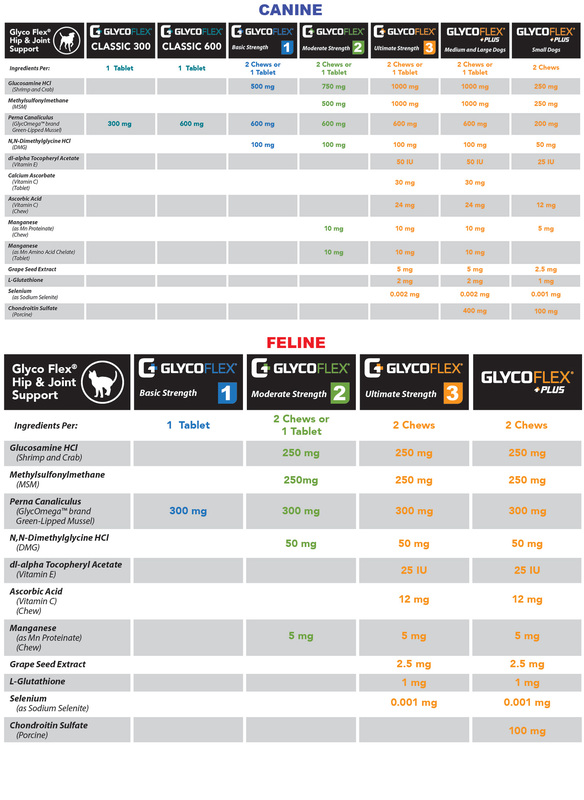 The Perna in Glyco-Flex® I for Cats is also rich in amino acids, naturally chelated minerals, numerous enzymes, vitamins and nucleic acids (RNA and DNA). As with any animal supplementation, correct and consistent administration is essential. Comparison between old and new formulas.